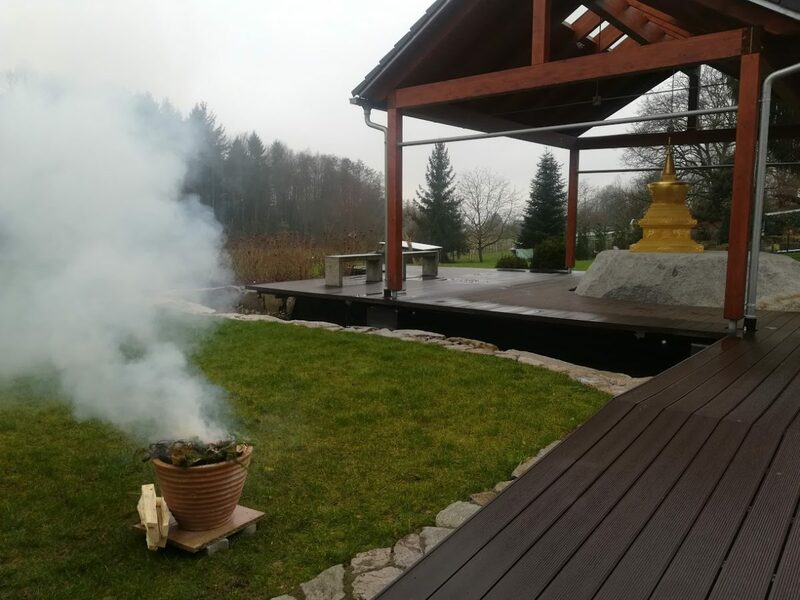 On Sunday, February 24, at 9am, a smoke offering will take place at the center’s stupa place, provided by Drupla Viktor and Katya. According to Jigme Rinpoche the practice will be done once a month, each Sunday after full moon. The next Sang Puja will take place on Sunday, March 24 at 9 am, before the teachings of Lama Yeshe Drölma.